ENERGY STAR® is the international symbol for energy efficiency that will quickly help you to identify products that are the most energy efficient. Windows, doors and skylights are among the products in Canada that can qualify for the ENERGY STAR® program. You will also find the symbol on energy efficient refrigerators, dishwashers, air conditioners, gas furnaces, washing machines, TV’s and DVD players, photocopiers, and many other products. 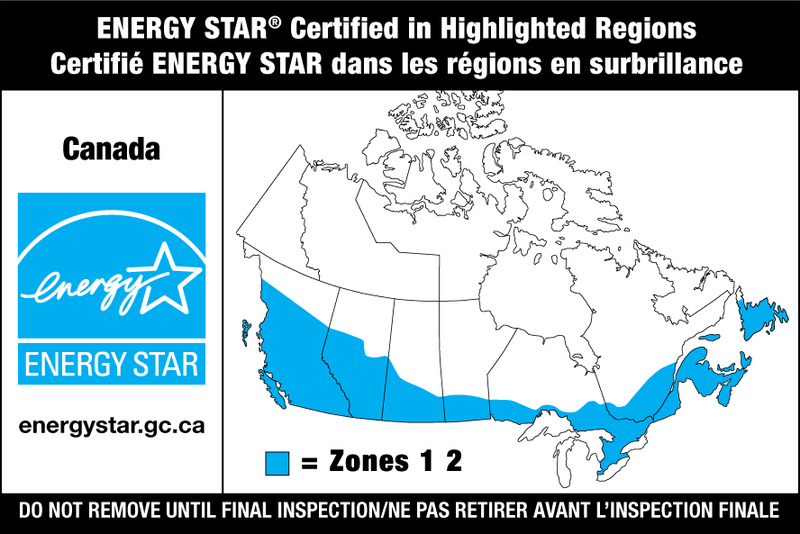 To buy an ENERGY STAR® certified window, door or skylight, locate the zone that you live in then select a product that is ENERGY STAR® certified for that zone. Canada has been divided into three climate zones. 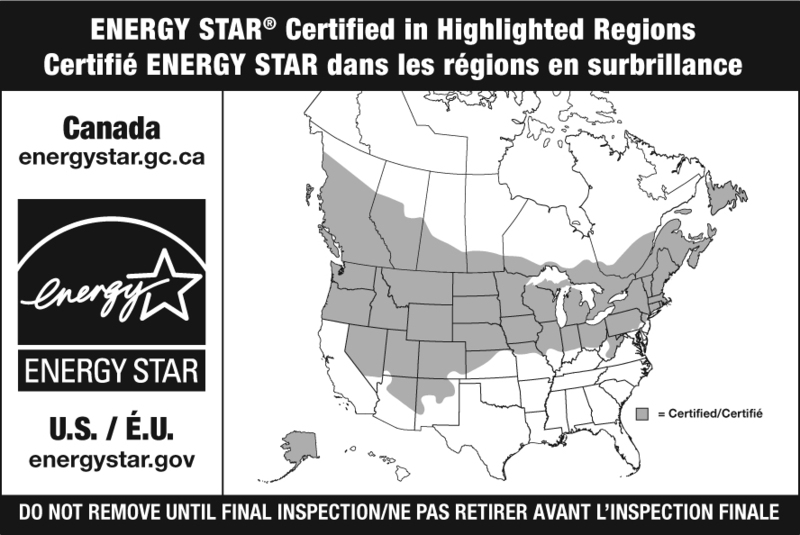 The climate zones for which a fenestration product is ENERGY STAR® qualified will be shown on a label and in its sales literature. Simply choose the product that is certified for the climate zone that you live in. 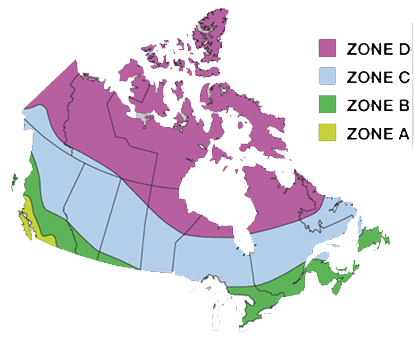 Many fenestration products will qualify for more than one zone in Canada. The more zones a product qualifies for, the more energy efficient it is. So, if you buy a product that is certified for one or more zones that are colder than where you live, you can save even more on your energy costs. All ENERGY STAR® certified windows doors and skylights are designed to have good air tightness to reduce or eliminate drafts. They have also been certified by an independent accredited agency for their quality and performance. Because of this, manufacturers often offer longer warranties for these products. A U-factor indicates the rate of heat transfer in watts per square metre. The lower the U-factor number, the slower it transfers heat from a warm area to a cold area. An R-value is the inverse of a U-factor and indicates the resistance to heat transfer. The higher the Rvalue number, the more insulative the product is. Neither the U-factor or R value account for heat energy from the sun (solar gain). The Solar Heat Gain Coefficient or SHGC is the difference between the direct solar energy that is reflected back outside compared to what is allowed to pass through into the interior. The scale ranges from 0.00 to 1.00. Products with clear glass will allow much of the sun’s energy to come inside and have an SHGC ranging from 0.60 to 0.85. Products with low-e coatings range from 0.15 to 0.40 for a soft coat and 0.40 to 0.60 for a hard coat.